This summer has been especially profitable for underdog players around the country. 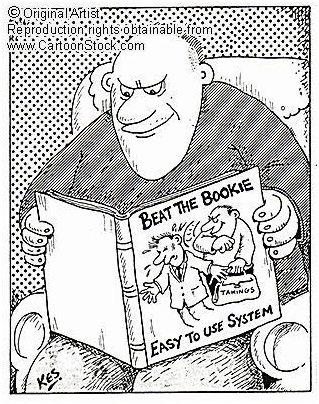 Most players tend to put their money down on the favorites and take the small profit that will probably follow. But, for ‘underdog players’ it is simply more fun to bet on the team not expected to win the game. Under normal circumstances, sportsbooks and bookies do well when the underdog wins. There will be a few bettors who take home a good payday but the majority of the money will fall on the favorite and the books will win when the dog wins. However, sometimes the dogs bite back… as they have been doing for the past few weeks when the betting public falls in love with the live dog and sticks it to the bookies when that dog finally wins the day. In the latter part of June the world’s tennis greats gathered at Wimbledon to compete once more. It did not take long to see that this was not to be a predictable year at Wimbledon because the favorites started falling right from the start. This was good news for the books….who gathered in a bunch of future bets early on….but, also left then venerable for the dreaded underdogs to strike. Rafa Nadal (-15,000!) fell in the first round to Steve Darcis (+2800) and then the next round saw tourney favorite Roger Federer (-20,000) go down to (+3,300) Sergiy Stakhovsky. On the ladies side, Serena Williams (-1,600) was really upset by Sabine Lisicki (+900) and then, to top it all off, for the first time in 77 years, a British subject won at Wimbledon when Andy Murray took the title after starting at (+333). Sportsbooks in the UK took a beating by the dogs at Wimbledon. In the days leading up to the middleweight title match at UFC162 in Las Vegas last week, the buzz on the street was that the 17 fight win streak of Anderson Silva might just be in jeopardy when he came up against young Chris Weidman. In spite of the trend, the big money went down on Silva who had faced many tough opponents before Weidman. Silva went into the match at (-250) with Weidman as the dog at (+200). But then Silva went down hard in the second round. Weidman via KO paid out at (+800) and Weidman winning in the second round was a nice (+950).